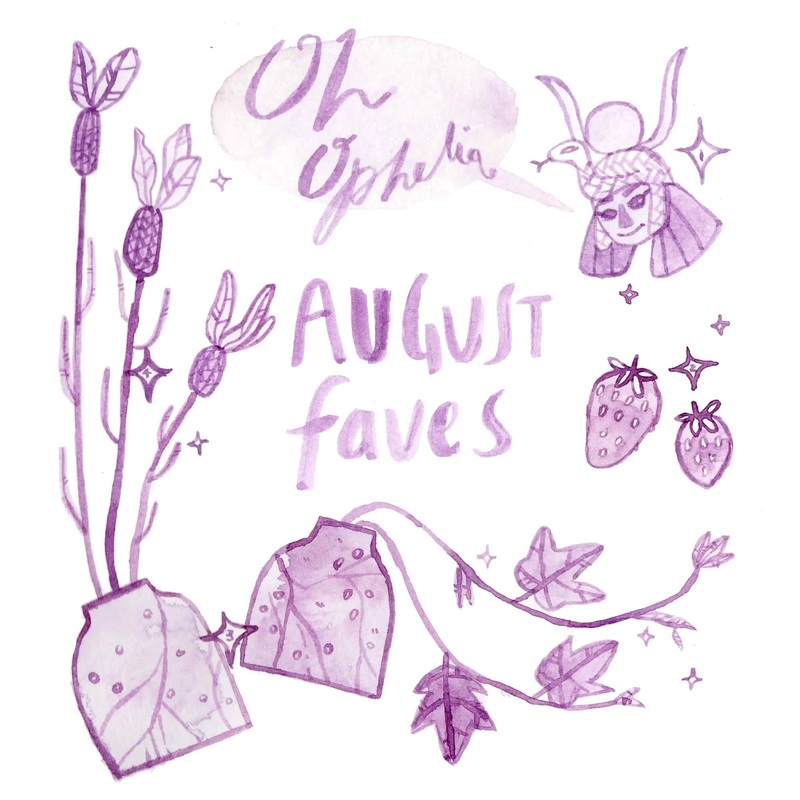 1 - Ophelia by The Lumineers - Despite being inexplicably against it for a long time, in the past year or so I have really been beginning to enjoy using Spotify. I just find that their Discover Weekly playlists tend to be pretty spot-on and it's easy to create playlists without having to download two hundred new songs every time. I often have the same songs pop up as recommended for me, and I either get 'Loco in Acapulco' suggested (I can't deny that I dance along every time) or 'Ophelia' by The Lumineers. For a while I tried to fight it, but by the end I had it stuck in my head so many times that I just decided to accept it and blared it on loop for about three days. It was during this come-down, when I wasn't trying to listen to anything other than the song that Sam popped up and said, 'will you play that Ophelia song again? I quite like it', and so the cycle started again. It's been 'the song' of August for sure. 2 - Strawberries - It's August... It's been Pimm's o'clock at work more often than not and so strawberries have been my constant craving throughout the month. It was peaches for July, strawbs for August. 3 - Anthropologie Pots - Those of you in the loop will well know by now that Sam and I redid our front garden this month and found ourselves coming over all Titchmarsh. One of our favourite features have been the little Anthropologie planters we picked up a while ago. Admittedly, we bought them thinking they were vases and not noticing they had massive cracks on the bottom (for handy drainage, I now realised) but they look sweet as pie out the front now, and add a bit of ooh to our new gravelly lawn. 4 - French Lavender - I had a small mare when it came to picking plants out the front as we did things a bit backwardly by having planters first/flowers second. I managed to pick up some enormous blooming French Lavender to fill in one pot and it just fit the bill perfectly and has perked up some of the local bees. It's a jolly lilac colour and gives a nice bit of countryside charm to our urban house. That's it for my favourites this month-- I hope you had a good August, but let's be honest... I'm thrilled that it's September as it means we're ever closer to October (the best month of all). 8 Places to visit in Barcelona!